Administrators from professional service company KPMG were commissioned to save the engineering wing of Monarch Airlines, which was bought by London-based equity firm Greybull Capital following the company's administration period in October 2017. The business had become "unsustainable in its present form" after company restructuring led to "an exodus of customers", with joint administrators appointed at the request of directors, according to KPMG. David Pike, Restructuring Partner at KPMG said in a press release obtained by Sputnik: "Following the administration of other Monarch entities in 2017, MAEL sought to build its customer base to replace the loss of business from the former airline. Through the insolvency of the airline however, the company inherited significant debts and claims." David Pike, Ben Leith and David Standish from KPMG’s Restructuring practice were appointed Joint Administrators of Monarch Aircraft Engineering Limited (MAEL) today, 4 January 2019, at the request of the directors. Mr. Pike said that "every effort" had been made to rescue the business, including launching a CVA to resolve legacy debts. "Unfortunately, following the CVA, a number of customers reduced or sought to terminate their relationship with MAEL, further adversely impacting the business," Mr. Pike said. He added: "As a result, MAEL recently entered into talks with a number of potential parties with a view to selling all or parts of the business. While it is pleasing agreements with a number of operators have been secured to ensure continuity of service at the majority of MAEL's line maintenance stations, with only partial offers forthcoming for the rest of the business, the directors have taken the difficult step to appoint administrators." Mr. Pike also remained hopeful to find buyers for the CAMO and training businesses, addling that administrators will make "every effort to provide support to those employees who have been affected by redundancy" and will offer employment fairs in Luton and Birmingham. 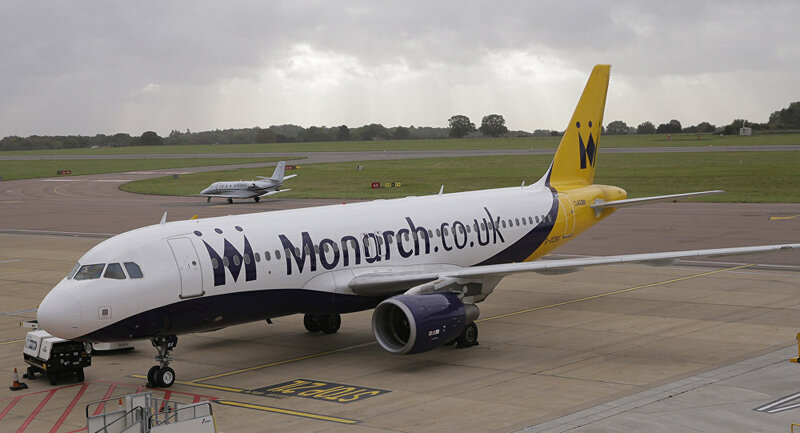 Based at London Luton Airport and founded in 1967, Monarch Airlines employed roughly 579 staff at the time of its restructuring in October 2018, due to MAEL customers seeing alternative suppliers. MAEL entered talks with potential partners on 14 December to sell off some or all of the business, administrators said. Sections of the company's operations were transferred to Morson Group and Storm Aviation earlier this week, with some Gatwick-based staff to Boeing. My cousin got made redundant from Monarch Engineering (as an Aircraft Engineer) at 5am today. If anyone knows or works with any similar companies with vacancies, please shout! He's based in Bedfordshire but will travel. One of the best, most dedicated ppl I know. Flybe will take over operations at Manchester and Birmingham Airports to continue supporting 182 MAEL employees. Roughly 250 employees will become redundant at hangers in Luton and Birmingham. Administrators will seek buyers for the company's Continuing Airworthiness Management Organisation (CAMO) division, which employs 27 staff charged with recording airworthiness and scheduled maintenance for 33 aircraft. The administrators will try to sell the training school and help 53 apprentices to find new placements. The remaining 200 Luton-based MAEL staff face redundancy but 83 employees will be retained to help wind down the business, including CAMO and training business operations.